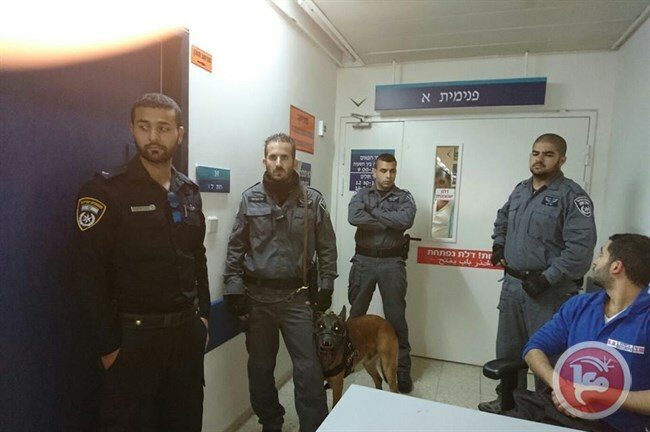 Israeli special forces accompanied by police dogs raided the Afula hospital where Palestinian hunger-striker Muhammad al-Qiq is currently being detained on Saturday, a Palestinian Authority official said. Hanan al-Khatib, a lawyer for the PA Committee of Prisoners’ Affairs said the sudden raid came after al-Qiq suffered from spasms and seizures several hours earlier, causing panic among doctors who rushed to al-Qiq's room and evacuated it. The purpose of the raid remained unclear on Saturday evening, but al-Khatib said the raid sent out the message that Israeli authorities were aware that "Muhammad could die at any moment." Earlier on Saturday, Palestinian Prisoners Society leader Qadura Fares told Ma’an that Palestinian officials were involved in talks to reach a compromise with Israeli authorities regarding al-Qiq that would be accepted by the Palestinian journalist and his family by Sunday. The raid comes a day after the Committee of Prisoners' Affairs said Israeli intelligence services had refused to allow al-Qiq’s family to visit him during his hunger strike, in contradiction with an earlier ruling by the Israeli Supreme Court. Al-Qiq, a 33-year-old father of two, went on hunger strike in late November to protest his administrative detention -- internment without trial or charge. He has since gone without food for 88 days, and has been in critical condition for weeks. The family of hunger-striking journalist Mohamed al-Qeiq have refuted Israeli news reports talking about a deal pledging his release next May. The brother of the prisoner, Hammam al-Qeiq, told the Palestinian Information Center (PIC) that all Israeli news reports about a deal in this regard are false and unfounded, and an attempt to undermine the massive popular rallying around the issue of Mohamed. He affirmed that his brother, Mohamed, insists on leaving the hospital as a free man or a martyr, and his family completely supports his decision in this regard. "There is no agreement yet unless there will be a deal preserving the dignity of Mohamed and ensuring his immediate and urgent release," Hammam stated. Israel's channel 10 had claimed that journalist Qeiq would be transferred to al-Makassed hospital and then released on May 21 without extending his administrative detention according to a deal clinched with his lawyer. Hebrew news websites, in turn, said there would be a deal resolving the issue of Qeiq within the next 24 hours. Mohamed al-Qeiq entered on Saturday the 89th day of his hunger strike in protest at his administrative detention with no indictment. The Israeli occupation authorities have taken the decision to kill Mohamed al-Qeiq who has been on hunger striker for 88 consecutive days, head of the PA committee for prisoners’ affairs Issa Qaraqe said on Friday. Qaraqe accused the Israeli high court of being a tool in the hands of Israeli Intelligence Apparatus which earlier refused to allow al-Qeiq’s family to visit him in Afula hospital. The Israeli Intelligence Apparatus is the first party responsible for Mohamed al-Qeiq’s serious health deterioration in collaboration with the Israeli right-wing extremist government, Qaraqe added. The family visit ban contradicts an earlier ruling by the Israeli high court allowing family visits to the 33-year-old journalist, he pointed out. Muhammad al-Qeiq, a 33-year-old father of two, has refused food since Nov. 25, 2015 to protest his detention without charge or trial by Israel. Israeli high court earlier ruled to temporarily "suspend" al-Qeiq's administrative detention, but said it would be reinstated if his health improved. Amnesty International criticized the ruling, saying it appeared to be "a mere gesture, designed to offer the illusion of freedom to prompt al-Qeiq to end his hunger strike." Al-Qeiq refused the Israeli ruling and vowed to continue his hunger strike till his unconditional release to a Palestinian-run hospital in West Bank for treatment. Dozens of Israeli soldiers invaded, Friday, Kafr Qaddoum town, in the northern West Bank district of Qalqilia, and violently assaulted the weekly protest against the Wall and Colonies, wounding one journalist. 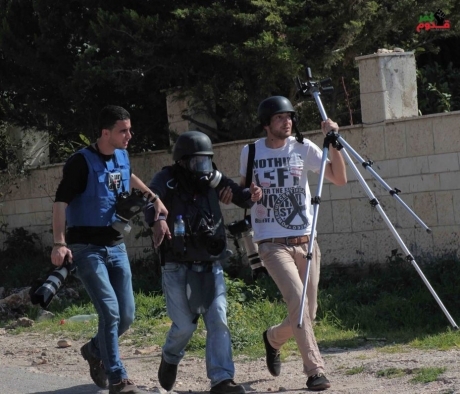 The Popular Committee in Kafr Qaddoum said one journalist, identified as Ala Badarna, was shot by army fire in his arm, and was provided with the needed treatment. 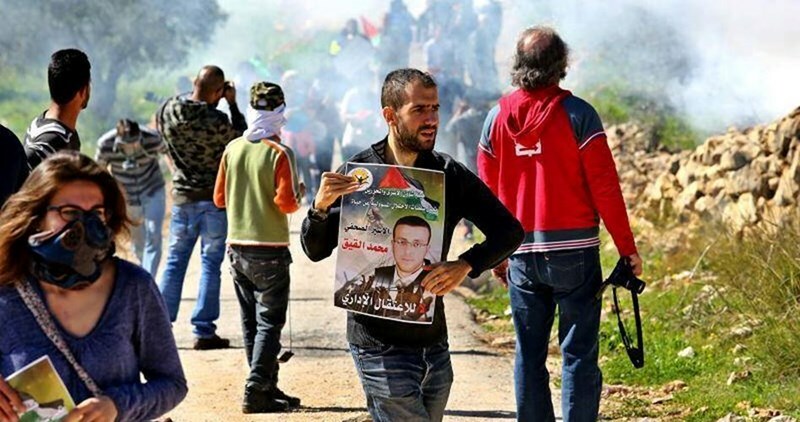 The Palestinians started their procession from the center of the village, carrying Palestinian flags, and chanting for liberation and independence, and for the release of hunger striking detainee Mohammad al-Qeeq. Morad Eshteiwy, media spokesperson of the Popular Committee in the town, said the soldiers invaded it while firing live rounds, and also fired gas bombs and concussion grenades, while local youngsters hurled stones and empty bottles on the invading vehicles. Kafr Qaddoum residents have been protesting for the fifth consecutive year, demanding Israel to reopen the town’s main road, that connects it with the surrounding Palestinian communities. The soldiers closed the village’s main road, thirteen years ago, to allow easy access to the settlers driving to and from the illegal Kedumim colony, built on Palestinian lands. In related news, the soldiers invaded Qabatia town, south of the northern West Bank city of Jenin, searched homes, kidnapped Ma’moun Ahmad Sabaghna, 17, and took him to an unknown destination. The Detainees and ex-Detainees Committee announced, Friday, that Israeli security is still refusing to allow hunger striking journalist Mohammad al-Qeeq's family the right to visit with him. The committee contacted the Civil Affairs Department at the Civil Administration Office, but, so far, the answer is still "No." According to WAFA Palestinian News and Info Agency, al-Qeeq's family said, Thursday, that they wouldn’t object to transferring him to a hospital in Jerusalem, as long it is a Palestinian hospital, because they do not trust Israeli hospitals. Last month, the European Union’s mission in Jerusalem and Ramallah expressed their longstanding concern about Israel's extensive use of administrative detention. 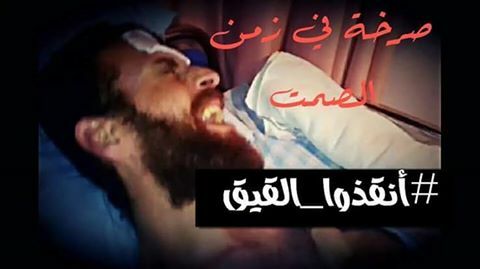 Hunger striking journalist Mohammad Al-Qeeq, after suffering severe convulsions on Wednesday night, lost the ability to breath, hear, see or speak until the morning . Mohammad Kana'na, who accompanied Al-Qeeq in the hospital, said that the administrative detainee suffered from severe convulsions which could not be controlled. 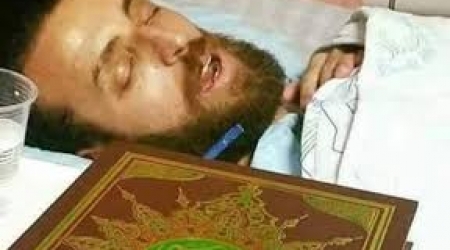 He explained that Al-Qeeq was hardly able to speak, is in a very serious condition, and that the only thing which could be done for him was to wash his hands and keep him hydrated. 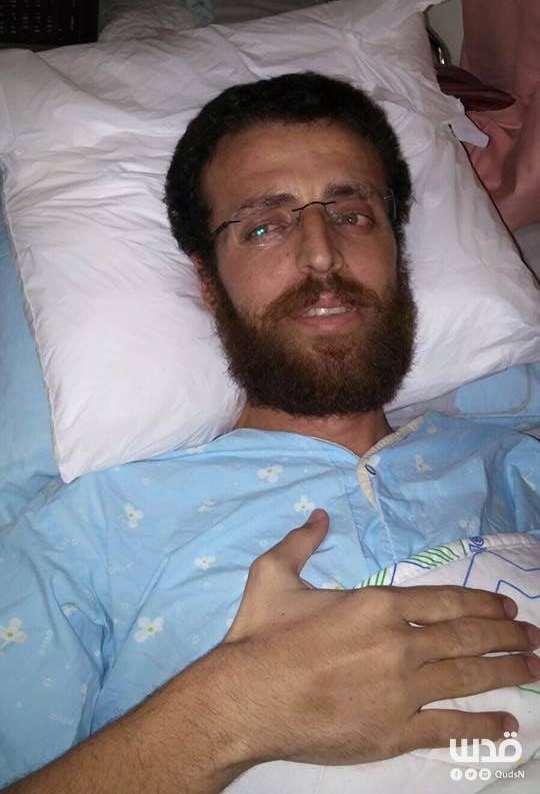 Al-Qeeq is still refusing any medical tests except for the examination of the heart beat, according to Al Ray. The Israeli high court refused, yesterday, to move Al-Qeeq from Afula hospital to a Palestinian hospital in Ramallah. Meanwhile, the head of the Arab Committee, Mohammed Barakah, said that the solidarity wave of support for Al-Qeeq has tightened, describing him as a symbol. International institutions on Wednesday urged the Israeli occupation authorities (IOA) to release the Palestinian Journalist Muhammad al-Qeiq, after 85 days of ongoing hunger striker in Israeli detention. The International Federation of Journalists (IFJ) urged the IOA to release al-Qeiq after his health status had sharply deteriorated. The IFJ called on the world’s unions to join the federation and work on restoring al-Qeiq’s freedom before it is too late. The IFJ quoted al-Qeiq’s family as sounding the alarm over the detainee’s critical health status in the Israeli Afula hospital. IFJ’s head, Jim Boumelha, urged the world’s press unions to push Benjamin Netanyahu to work out al-Qeiq’s case with no further delay. He called for the need to mobilize parliamentarians’ support for al-Qeiq by holding contacts with the Israeli embassies and exerting pressure the Israeli government to save al-Qeiq’s life. For his part, the UN’s Special Coordinator for the Middle East Peace Process, Nickolay Mladenov, called on the Israeli occupation to release the hunger-striker and all Palestinian administrative detainees. The U.N. official expressed his firm condemnation of Israel’s dragging of its feet as regards al-Qeiq’s situation, saying such a reluctance stands in sharp contrast to international humanitarian law. The Palestinian Prisoner Center for Studies said that the prisoners in Eshel jail on Wednesday kept banging on the iron doors of their cells in solidarity with hunger-striking journalist Mohamed al-Qeiq. According to the center, the prisoners in section 10 stood at one time at the doors of their rooms and embarked on knocking on them very hard while loudly calling for the release of prisoner Qeiq. The prisoners also threatened to escalate the situation in the jail if prisoner Qeiq died. Consequently, the Eshel administration closed and isolated section 10 and declared a state of alert in the prison. In a related context, youth groups in the 1948 occupied lands organized on Wednesday marches and sit-ins in solidarity with journalist Qeiq, according to Quds Press. 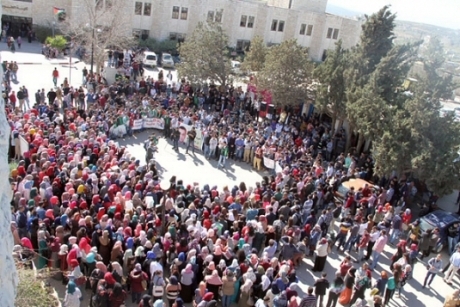 The solidarity events took place in different towns and cities, including Arrabat al-Battuf, Shaghour, Umm al-Fahm, Nazareth, Tayiba, Shefa Amr, and Haifa. The participants carried banners calling for ending the administrative detention of Qeiq and transferring him to a Palestinian hospital. The Israeli high court on Tuesday rejected a request filed by the lawyer of prisoner Qeiq asking for his transfer to a Palestinian hospital in Ramallah. The Israeli Higher Court refused on Tuesday evening the hunger striker Mohamed al-Qeiq’s appeal to be moved to a West Bank hospital despite his extremely serious health deterioration. 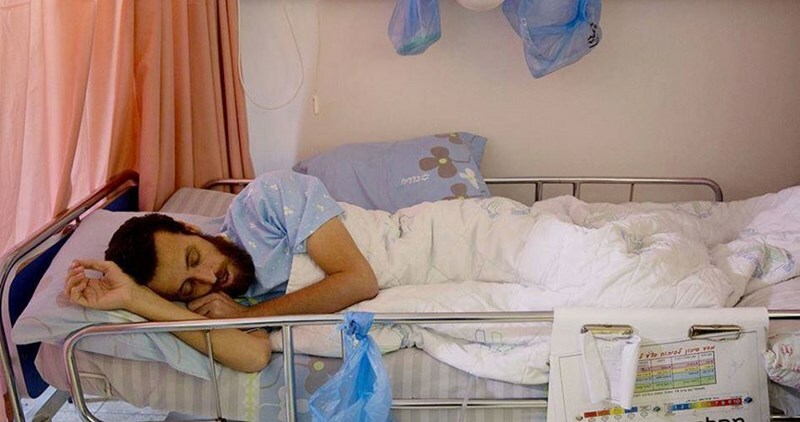 The Palestinian Prisoners Society (PPS) affirmed in a brief statement that the Israeli court refused al-Qeiq’s demand and decided to keep him in Afula Hospital although his health situation reached a very critical stage as he enters his 85th day of hunger strike. The Israeli court has also given a green line to Israeli doctors to conduct medical tests to al-Qeiq against his will, saying that al-Qeiq still has a chance to decide whether he would like to be transferred to the Palestinian-run Makassed Hospital in the annexed part of occupied Jerusalem. Earlier Monday, al-Qeiq refused Israeli offer to be transferred to Makssed Hospital saying that he would not end his strike until his release and transfer to a Palestinian hospital in the occupied West Bank. Along the same line, the lawyer of the PA Committee for Prisoners’ Affairs Hanan al-Khatib, who has been visiting al-Qeiq in Afula Hospital, said that “al-Qeiq has entered an incomprehensible stage”. “He is experiencing recurrent painful muscle contractions across his body, severe heart pains and his body’s temperature rose significantly,” she said. She added that al-Qeiq was “loudly shouting” and that his health condition “has become tragic”. Al-Khatib warned that “we might lose him” during the next hours and urged for reaching a solution to save his life. 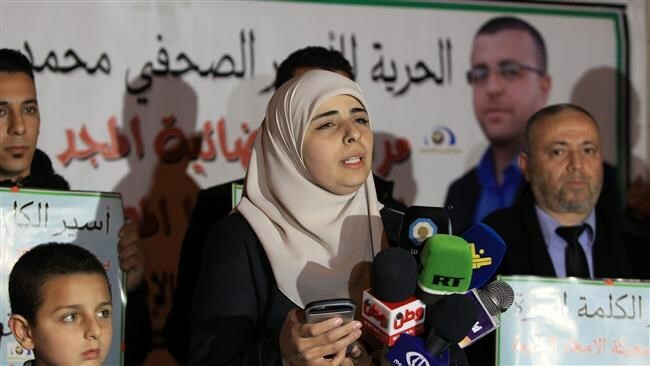 She called upon all concerned stakeholders to do their utmost to save al-Qeiq’s life, saying his health condition will be “out of control” in case Israel continues to disregard his issue. Head of the Islamic Movement within the Green Line Sheikh Raed Salah, for his part, declared a hunger strike along with a number of Freedoms Committee’s members in solidarity with al-Qeiq. In its turn, the Palestinian government media office in Gaza considered the Israel court’s ruling as a declaration to kill Mohamed al-Qeiq. Head of the PA Committee for Prisoners’ Affairs Issa Qaraqe said the Israeli court’s decision showed its "deliberate persistence to kill" al-Qeiq. Qaraqe called the Israel's Supreme Court an Israeli “killing tool that realized al-Qeiq was on the brink of death, but refused to make a decision to save his life.” He pointed out that the medical committee at Afula Hospital said it might force-treat the Palestinian journalist in the coming hours or days. On the other hand, Hamas’s prisoners leadership committee declared readiness to any new development in al-Qeiq’s issue, holding the Israeli Prison Service responsible for al-Qeiq’s life. The committee called on human rights and media institutions to increase their solidarity campaigns at international forums in challenge to Israeli authorities and in support of Mohamed al-Qeiq. The Euro-Mediterranean Observatory for Human Rights has also considered the Israeli court’s ruling as a deliberate killing of al-Qeiq, hailing MEP Martina Anderson’s call for his release. Meanwhile, hundreds of Palestinians rallied in al-Khalil and Ramallah in protest at the ongoing detention of al-Qeiq. 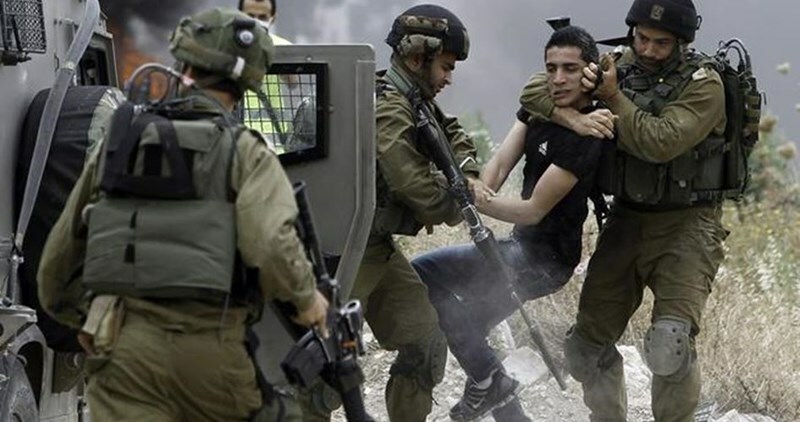 At least seven citizens were kidnapped Tuesday evening by the Israeli occupation forces (IOF) in an abduction sweep rocking Occupied Jerusalem city. A PIC news reporter said the IOF rolled into Hezma village, in northern Occupied Jerusalem, and kidnapped youngster Awda Askar. The IOF further stormed Jerusalem’s eastern village of al-Issawiya and raked through its residential neighborhoods, triggering limited clashes with the Palestinian protesters. The IOF attacked the Palestinian protesters with randomly-shot waves of teargas canisters. Two more Palestinians were kidnapped by the occupation soldiers from Jerusalem’s northern town of Beit Hanina. The campaign culminated in the abduction the Washington Post Jerusalem bureau chief William Booth and the Palestinian journalist Sofian Taha, along with a female rights activist. The three arrestees were released after they were subjected to exhaustive questioning for hours. The Israeli border police officers also kidnapped a Palestinian youth from Magharet Suleiman, in central Occupied Jerusalem. Husam Badran, the spokesman of the Islamic Resistance Movement, Hamas, called on the Palestinian people to take to the streets and flashpoints to clash with Israeli soldiers in all Palestinian territories in support of captive Mohammad al-Qeiq who has been on hunger strike for 84 consecutive days. Badran said, in a statement on Tuesday, that clashes need to be escalated for the sake of sending a message to the Israeli occupation that all red lines have been crossed and Palestinians will avenge captive Qeiq. Badran stressed that the current stage of Qeiq’s life is very critical as the Israeli judges decided urgently to hold a meeting with Israeli general prosecution and the intelligence apparatus to decide on his issue. The resolution would be announced hours later. Supporting Qeiq by massive clashes in this critical time would impact the decision of the Israeli judges, Badran said. 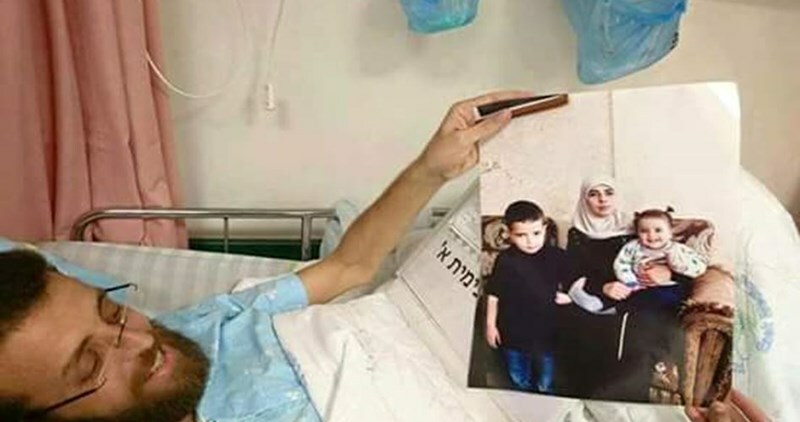 The family of the Palestinian journalist Muhammad al-Qeiq appealed to the free world to save their sons’ life as he reached a very critical stage of hunger strike. Speaking to the PIC reporter, al-Qeiq’s wife Fayha Shalash expressed deep sadness and intense fear over her husband’s deteriorating health situation especially after a video broadcasted by al-Quds TV Channel showed al-Qeiq while shouting loudly and screaming from sharp pains in his chest. Fayha also called for a mass participation in the rallies and marches set to be staged across occupied Palestine in support for al-Qeiq, who has been struggling against death after 84 days of ongoing hunger strike. Earlier Monday, the Israeli higher court rejected al-Qeiq’s request to be moved from Afula hospital to a Palestinian-run hospital in Ramallah for medical treatment, and decided to hold another session on Tuesday to review al-Qeiq’s appeal against his administrative detention.